Bermudian goalkeeper Nathan Trott “made some great stops” as West Ham United U23s defeated Slovak Super League club FC ViOn Zlaté Moravce 5-1. The club’s match report said, “West Ham United U23s produced a five-star display to thrash Slovak Super League club FC ViOn Zlaté Moravce on Wednesday evening. “The young Hammers were in irrepressible form as they swept aside their hosts 5-1, with striker Jahmal Hector-Ingram helping himself to a hat-trick. “Academy Director Terry Westley may have been without the likes of Josh Cullen, Reece Burke, Toni Martinez and Moses Makasi, but his team still had far too much for their opponents. “It was an outstanding display, following on from our victory at Dagenham & Redbridge on Saturday afternoon,” said Westley. “Our goals were all superb, with Jahmal back to his best with three fine finishes, a penalty from Dan Kemp and a good goal from Grady Diangana, who was very good on the night. “West Ham were also boosted at the back by the return of goalkeeper Nathan Trott, fresh from winning the UEFA European U19 Championship with England earlier this month. 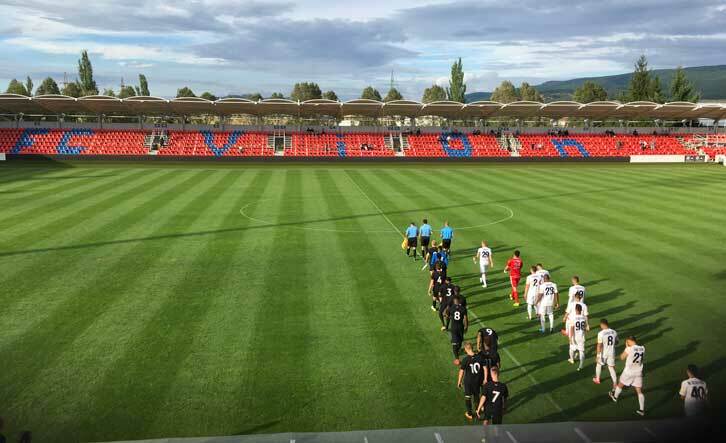 “Norway winger Martin Samuelsen was also in action following off-season surgery to rectify a breathing issue, winning the penalty successfully converted by Toulon Tournament winner Kemp. “Nathan played his first game back after his success with England and he made some great stops late on,” Westley observed. “Vashon Neufville was back to his best at left-back, too, which augurs well for the season ahead. “The U23s will spend the remainder of the week training in Slovakia before returning to England to take on ambitious Isthmian League club Billericay Town at the AGP Arena next Tuesday evening.